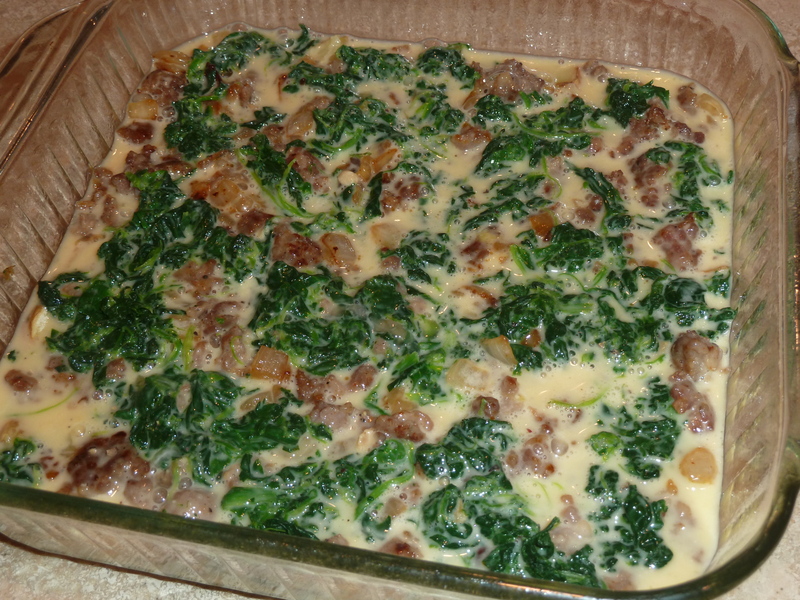 raiding-the-fridge breakfast casserole | Is there any wine left? I remembered Saturday night at 11 pm that we were supposed to bring breakfast to Sunday school the next morning. I thought about grabbing a dozen doughnuts on our way to church in the morning, but after taking a look in our refrigerator I realized I had all of the ingredients to make breakfast casserole. There’s a recipe below, but this is definitely a dish that is open to changes. Don’t like breakfast sausage? Use ham, bacon or omit the meat entirely. No potatoes on hand? No worries. Skip ’em. 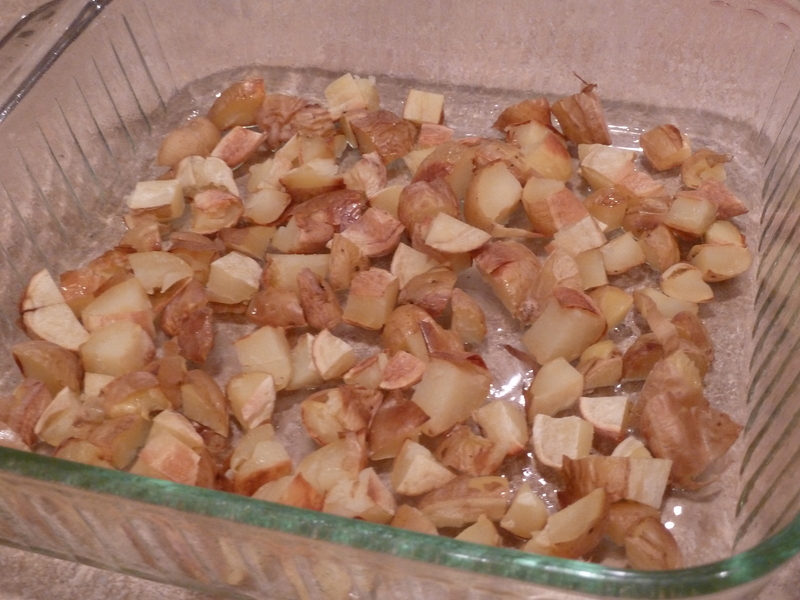 I started by slicing the potatoes in half and throwing them on a cookie sheet. I baked these at 400 degrees F for about 25-30 min. 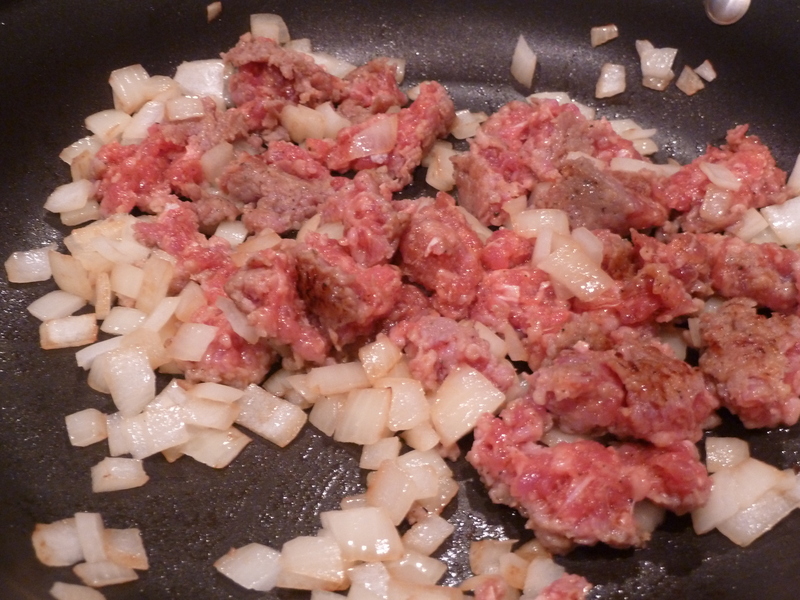 In a skillet, brown the sausage and chopped onions. Cook the spinach according to the package directions (for me, this meant the microwave!) then squeeze out all of the liquid. 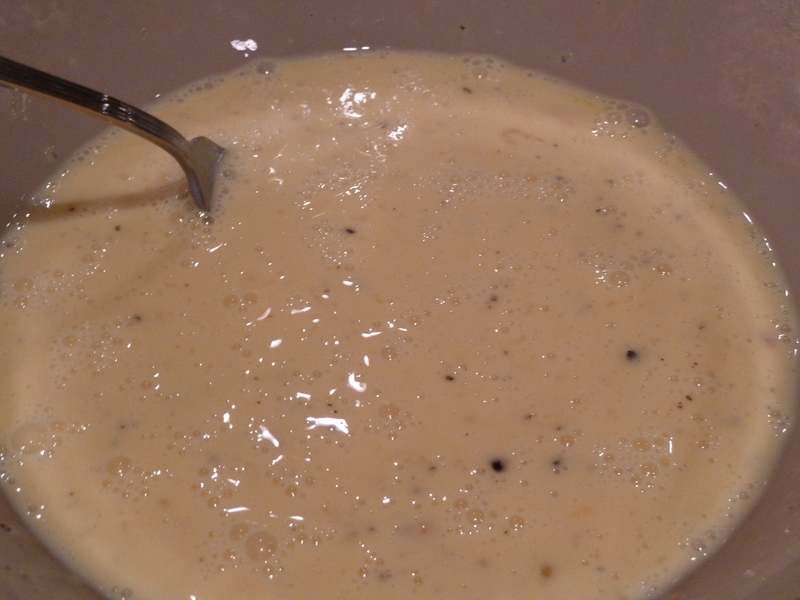 And in a bowl, combine the eggs, milk, worcestershire sauce, mustard powder, garlic powder, salt and pepper. Then pour the egg mixture over all of it. 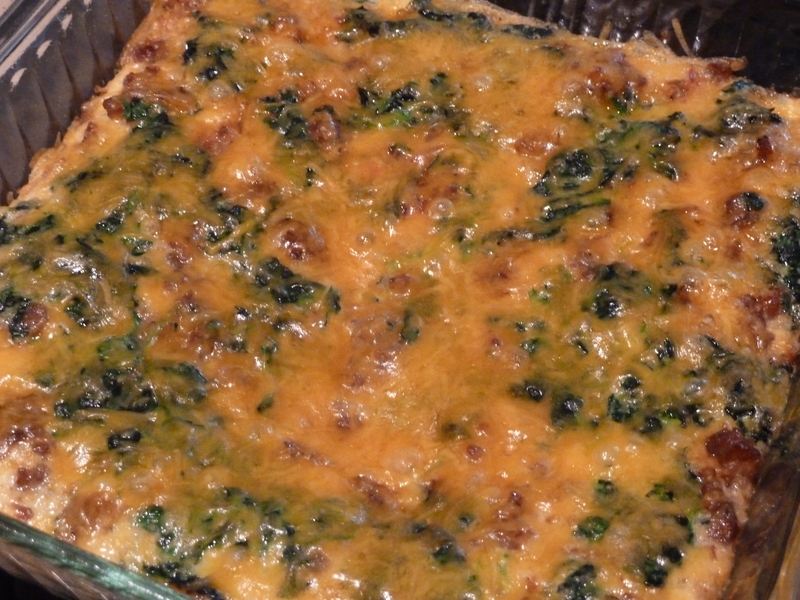 Bake at 350 degrees F for 25 minutes then sprinkle some cheese over the top and bake for about 5 more minutes. 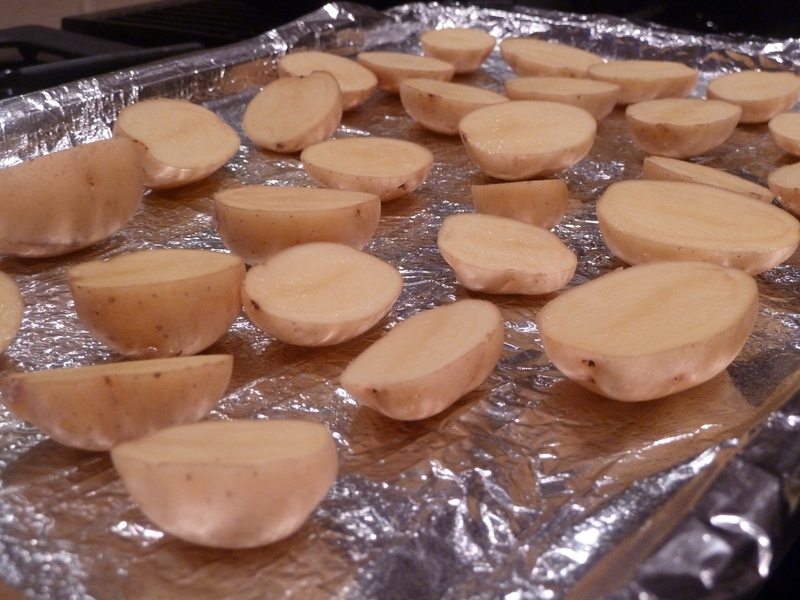 Slice the potatoes into small pieces and arrange in a single layer on a cookie sheet. Bake at 400 degrees F for 25-30 minutes. 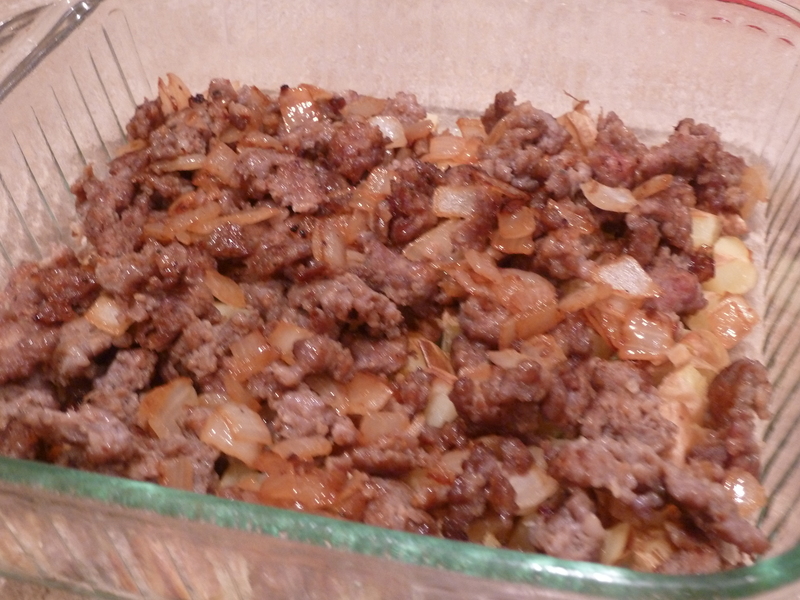 In a skillet, brown the sausage and onions. 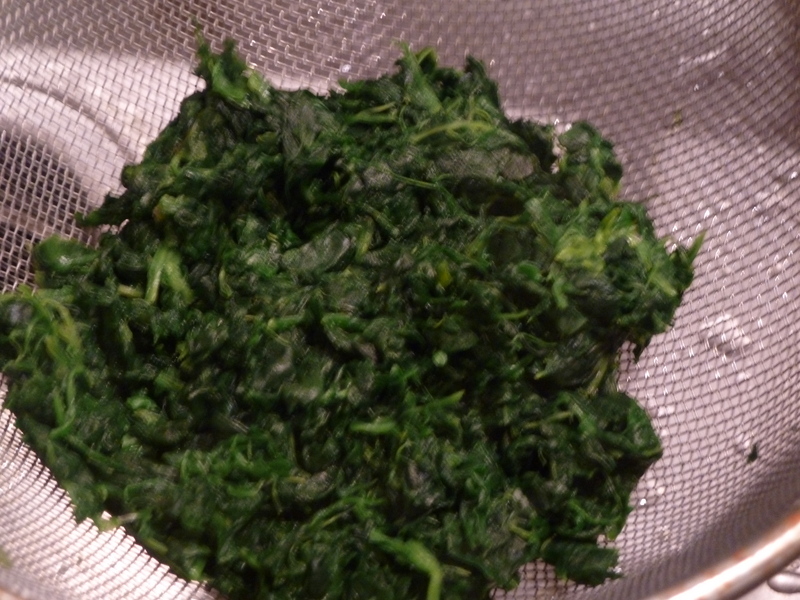 Cook the spinach according to package directions and drain well. Beat the eggs with the milk, Worcestershire sauce, mustard powder, garlic powder, salt and pepper. 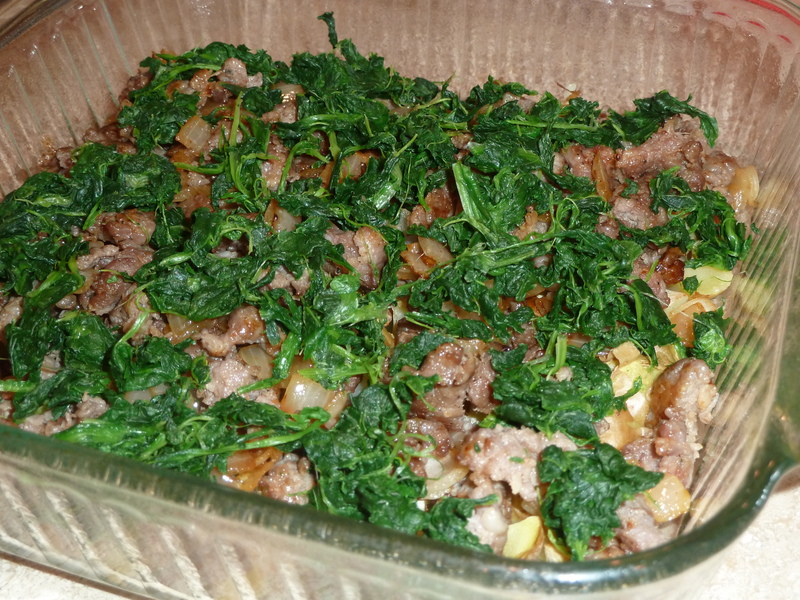 In the bottom of a greased 8″x8″ baking dish, layer the potatoes, sausage and onions, then spinach. 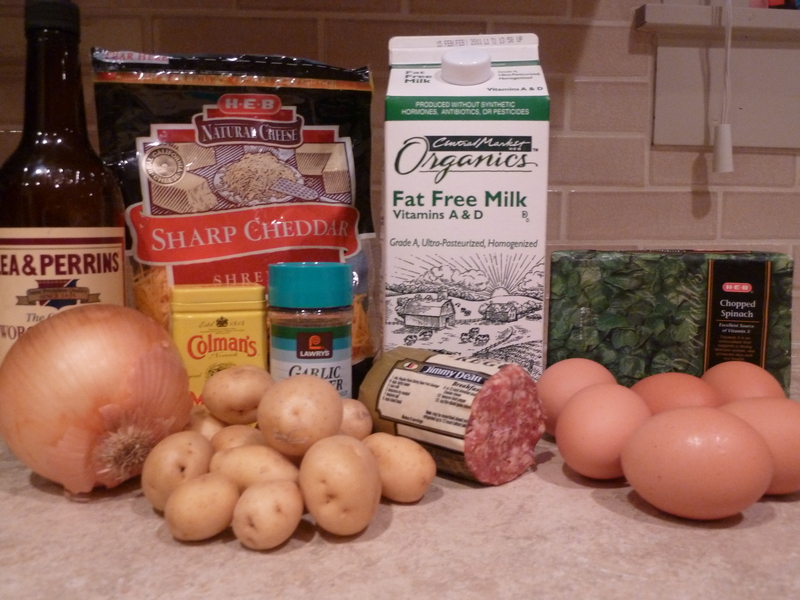 Pour the egg mixture over the other ingredients. Bake at 350 degrees F for 25 minutes. 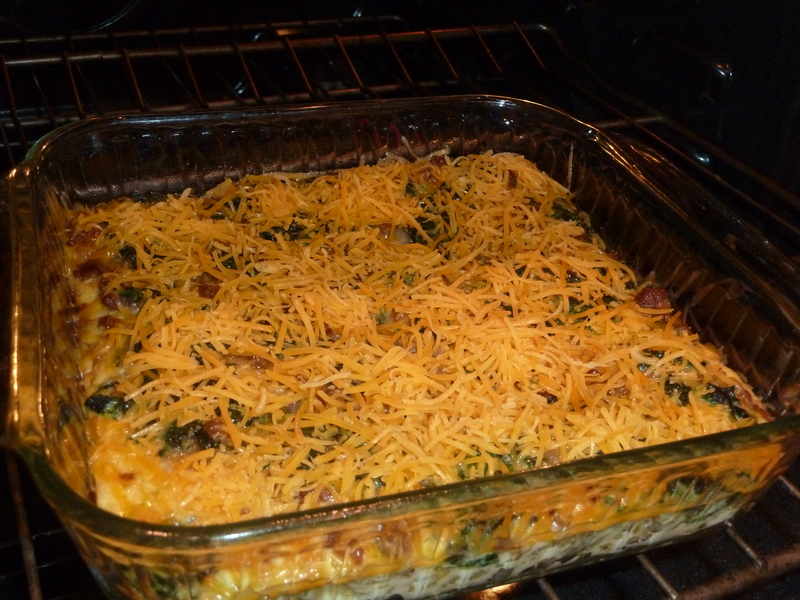 Sprinkle cheese over the casserole and bake for 5 more minutes.